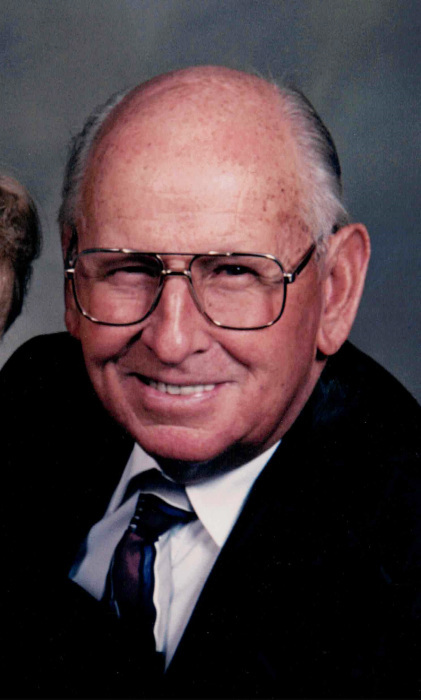 Ralph S. Mortensen, 95, passed away August 25, 2018 at his home in Preston, Idaho. He was born Sept. 29, 1922 in Preston, Idaho the son of Andrew Daniel Mortensen and Johanna Marie Sorensen. He served his country in the Army during World War II in Europe. He married Beverly Jean Nelson on October 13, 1948 in the Logan Utah Temple. She preceded him in death on May 11, 2018. He was an active member of the Church of Jesus Christ of Latter-day Saints where he served in many bishoprics and as Bishop of the Winder Ward. He returned to college in his 40’s and graduated from Utah State University with a Bachelors Degree which led to a career with FHA. He enjoyed gardening and always had a beautiful garden. He served a mission with his wife, Beverly, in the Texas Houston South Mission. He had a love of the gospel and a strong testimony of the Savior, Jesus Christ. Ralph is survived by a son, Phil Mortensen of Chubbuck, Idaho; a daughter, Jan Garrett of Preston; five grandchildren, eight great-grandchildren and by a brother, Steven Mortensen of Meridian, Idaho. He was preceded in death by his wife; by a daughter, Paulette Hansen; and by two sons-in-law, Craig Garrett and Brent Hansen.